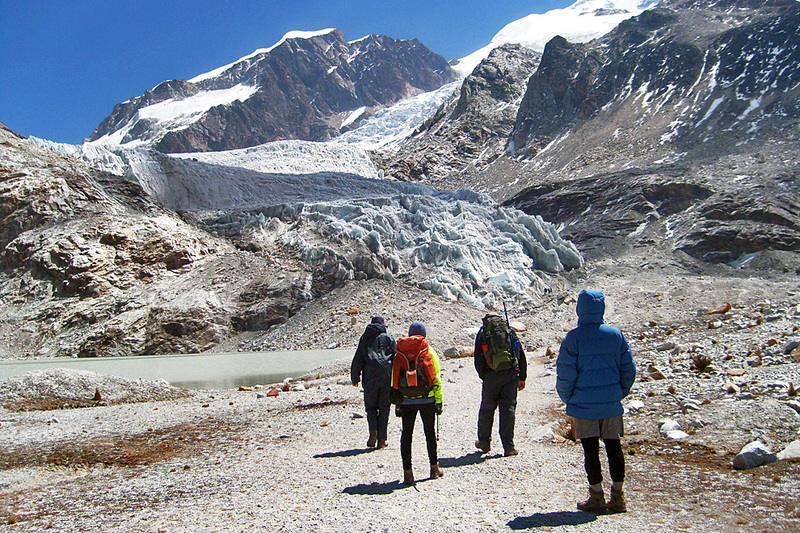 "Unique experience to explore an Andean tropical glacier at the base of Huayna Potosi Mountain"
The glaciers of Huayna Potosi mean going from hotel to glacier in a couple of hours. 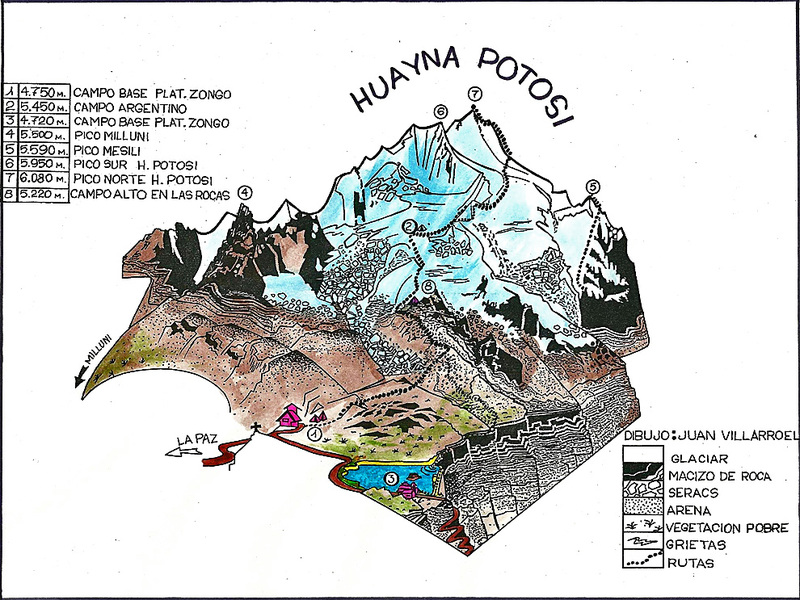 It is a great opportunity to learn more about glacial aspects of the Bolivian High Andes. It is a family suited adventure led by Azimut Explorer experts. 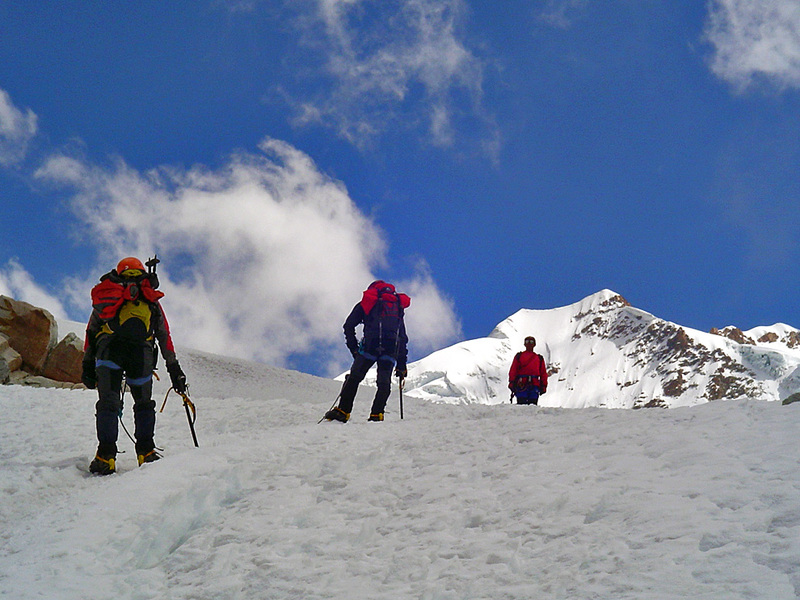 Using basic climbing equipment, we enter a snow field encircled by impressive ice walls, seracs, crevasses and rimayes. 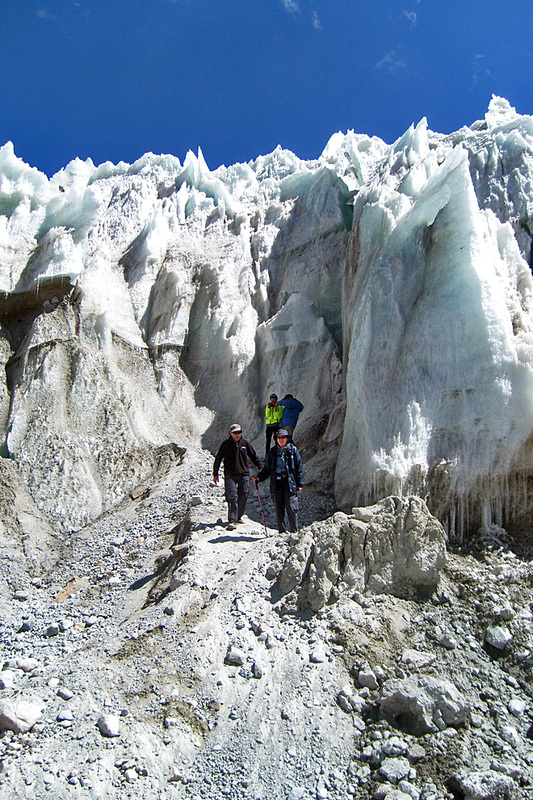 Safe route where you can explore easily a glacier. Car transfer to Zongo Pass. 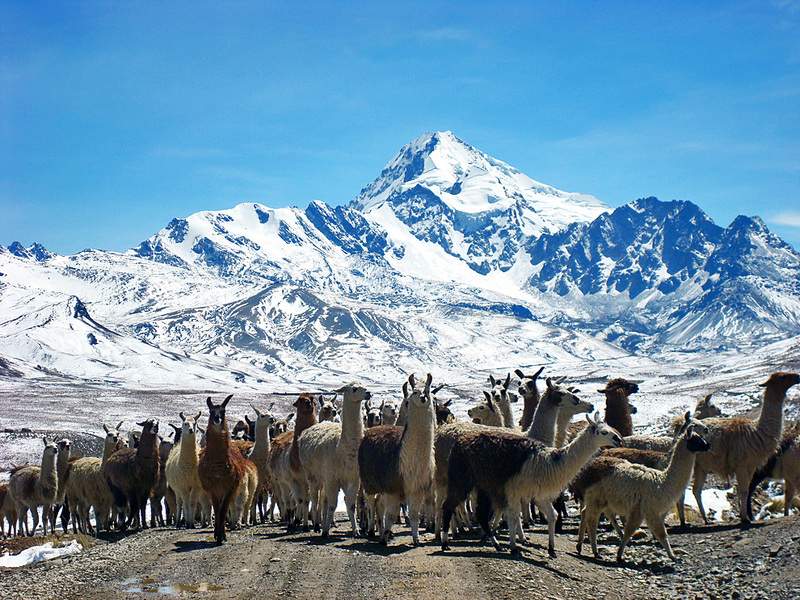 Move up to the glacier. BRING: anorak, warm gloves, fleece jacket, head torch, thermal underwear, mountain glasses, sun block, sun hat.